The ship regained power on Sunday morning after 479 were rescued. 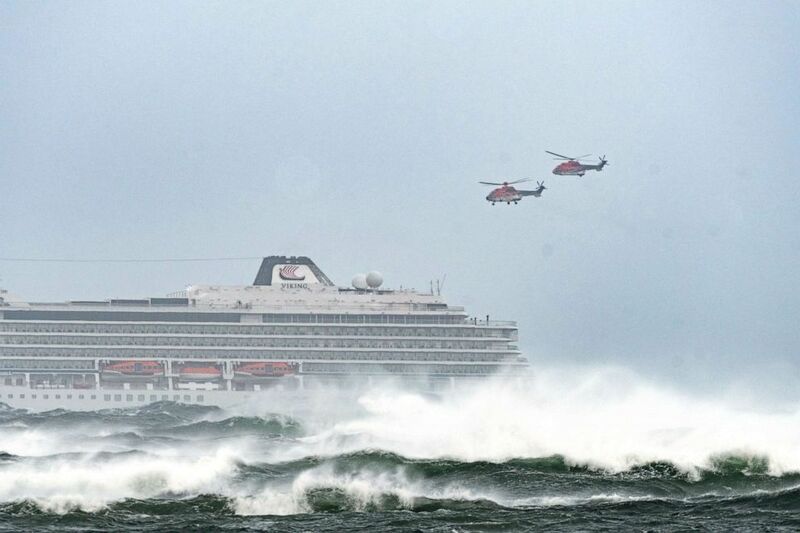 Rescue helicopters battled severe winds on Saturday in an attempt to airlift more than 1,300 people off a Viking Cruises' ship that issued a distressed call after an engine failure off the coast of Norway. 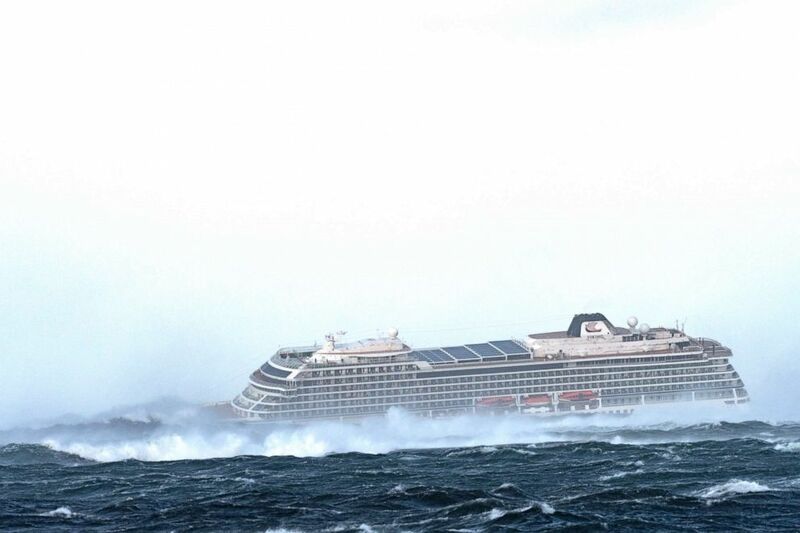 Of the over 1,300 stranded, 915 were passengers on the Viking Cruises' ship called The Viking Sky, Norway's Rescue Coordination Centre told ABC News. After hundreds were airlifted, Viking Cruises announced Sunday the ship had regained power and was continuing on to Molde, Norway. Viking said 436 guests and 458 crew remained on board as it returned to port. Another 479 passengers who were airlifted by helicopter will be flying home, the cruise company said. 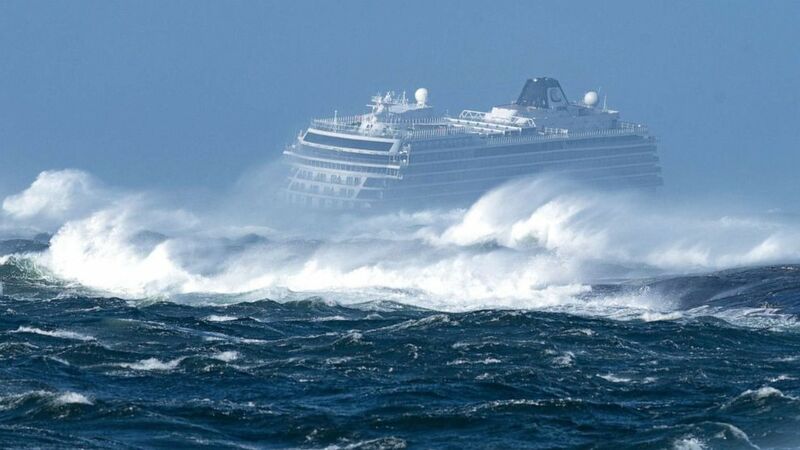 (Eva Frisnes) A cruise ship went adrift off the waters of Norway on March 23, 2019, and passengers were being evacuated. The initial mayday was received by the agency at 2 p.m. Saturday local time, a Viking spokesman said. 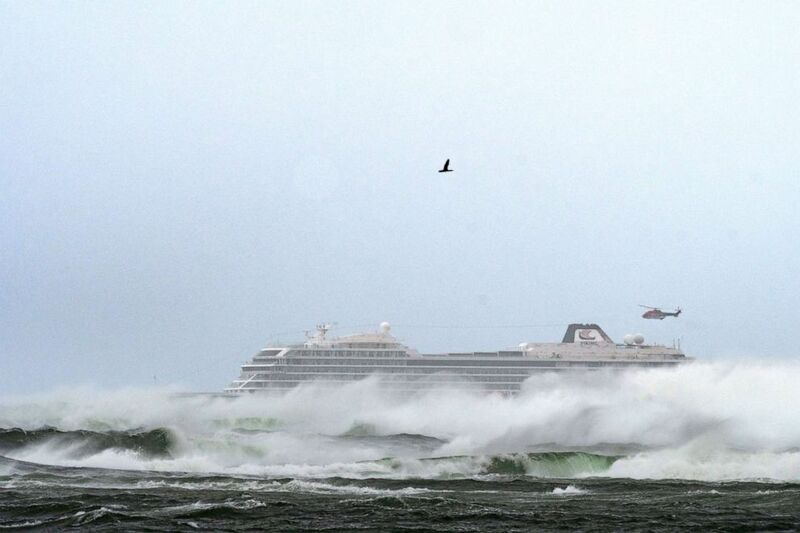 The cruise ship was close to shore and had one engine working and one anchor holding. The ship can house 930 guests and was built in 2017, according to the company's website. "Our first priority was for the safety and well-being of our passengers and our crew, and in close cooperation with the Norwegian Coast Guard, the captain decided to evacuate all guests from the vessel by helicopter," the spokesman said in a statement. Four helicopters were involved in the operations to remove passengers, the agency said. 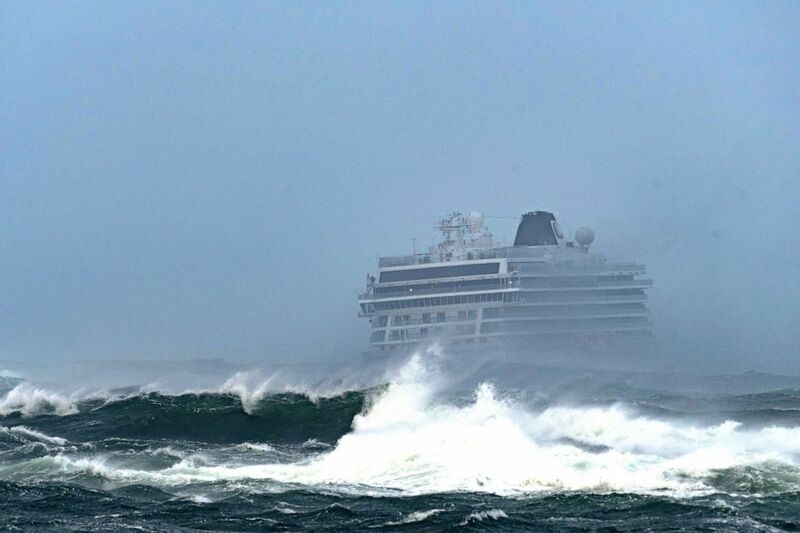 (Eva Frisnes) Viking Ocean Cruises "The Viking Sky" cruise ship is trying to restart engines while 1300 people await rescue. Twenty people suffered minor injuries on the ship, Viking said. "Throughout all of this, our first priority was for the safety and wellbeing of our passengers and our crew," Viking said in a statement. "We would like to thank the Norwegian Redningssentral and the Norwegian emergency services for their support and skill displayed in managing the situation in very challenging weather conditions." Danny and Judith Bates were among those rescued on Saturday. "Very frightening. We went up on a helicopter with a sling, the two of us together and it was quite scary," Danny Bates told Eurovision. His companion, Judith Bates said, "I felt surely, they have everything under control, it’s all going to be OK. So we just take this as an unexpected adventure." Viking said it made every attempt to keep passengers and their families updated during the process. The ship's next departure, scheduled for March 27, has been cancelled. ABC News' Chris Donato, Mark Osborne and Alex Faul contributed to this report.